Book a skilled gardener in Omaha. Backed by a total satisfaction guarantee and amazing customer support. 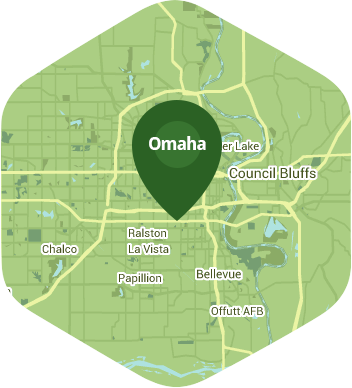 One of the perks of living in Omaha is how almost everything here is only 20 minutes away. You can chow on some of the best fried chicken in the state at the Alpine Inn and then head over to Beercade to enjoy classic arcade games while drinking some brewskies with friends, and the best thing is it won't take you that long to get from point A to point B. This also means you won't have any trouble reaching out to Lawn Love to help you out with your garden because our gardening experts can get to your place in a jiffy. We all have our own versions of what the perfect garden looks like, and it will take a lot of hard work to turn our fantasy into a reality. This also means having to invest a significant amount of time into working on your garden, and some people simply do not have enough free time on their hands. At Lawn Love we've got nothing, but time when it comes to bringing our magic touch to your garden. Our crew of independent gardening experts have the knowledge and experience to work on all kinds of gardens, so you can bet that they will be able to get the job done on your garden in no time at all no matter how big or small it might be. If your garden could use a bit of Lawn Love magic, give us a call at 402-413-9143 or get a free quote to learn more about our rates and services. Has always been great. Does a fantastic job on the lawn. He is a "keeper." Rated 4.88 / 5 stars in 883 Omaha customer reviews. Dusk and dawn are the best times to water your lawn (the sun will rise at 6:32 AM and set at 8:12 PM today in Omaha). Average lawn size 5,062 sq. ft.